This book provides a scholarly discussion of arguably the most important advance in U.S. public health services since Medicare 50 years ago - how the Federal program known as the Patient Care and Affordable Care Act of 2010 (ACA) or "Obamacare" became law. It addresses ACA in terms of its impact on improving health and behavioural health services for key diverse populations in America, including people with disabilities, consumers, women, racial and ethnic minorities, and veterans and their families. From the very beginning, ACA was controversial and the topic of heated political debate at both state and national levels. 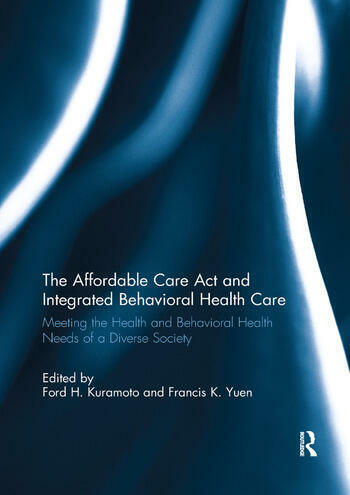 This book examines more closely how the legislation was developed, including the political history of the act; the many advocacy efforts at the national level and the community-based action strategies at the grassroots level; how ACA will affect a broad cross-section of America; the integration of health and behavioural health services as a key component of ACA; the financing of ACA and parity for behavioural health services. This book was originally published as a special issue of the Journal of Social Work in Disability & Rehabilitation. Dr. Ford H. Kuramoto, LCSW has over 30 years of experience in public health research and policy and health and behavioural health services integration field. He worked and consulted with NIMH, UCLA School of Medicine, White House National Drug Control Policy, and SAMHSA. He is the President of Magna Systems, Incorporated. Dr. Francis K. Yuen is a Social Work Professor at California State University, Sacramento, USA. He has published widely and served as the editor for the Journal of Social Work in Disability & Rehabilitation since 2003. He has been a principal investigator, evaluator, and trainer for national and local service organizations.